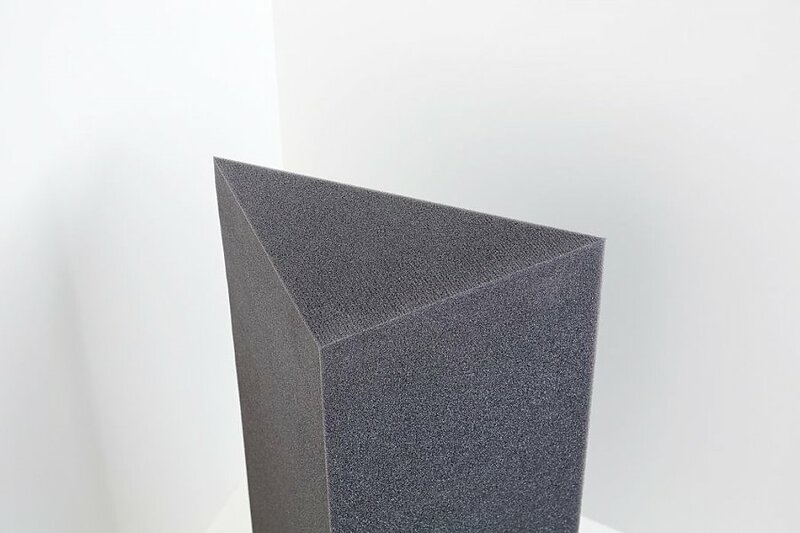 Our Bass Traps made of polyurethan are high quality absorption elements that are used to optimize the acoustics of rooms. The low weight and the variability of the installation allow a well-aimed improvement of a room’s acoustics. We recommend a Bass Trap in every corner or 1 Bass Trap for each 10 m².